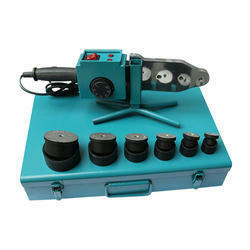 PPR pipe welding machine 20 to 63mm. Welding size: 20, 25,32,40,50, 63mm. PPR Pipe Welding Machine are all the major part are made of high-quality materials, simples operation, convenient and practical, its ideal for pipeline construction equipment. So if the voltage in your country is different, you may use a Voltage Adaptor for running the machine. 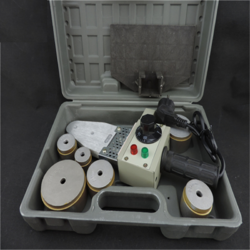 Otherwise, it may cause damage to the machine.Function: For welding plastic pipes as PP/PP-R/PE/PP-C pipe and etc. 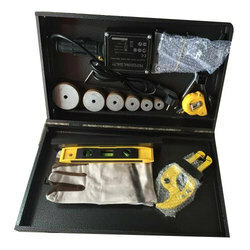 AC220V, 50hz, 750w1 PPR Tube Pipe Welding Machine; 3 sets of Welding Heads; 2 fasten screw; 1 Inner Hexagon Spanner; 1 Working Support Shelf. 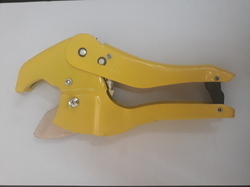 PPR pipe cutter for PPR pipe cutting from 20mm to 40mm , Apply water pipe line, aluminium pipe line, gas pipeline, ELectrical pipeline and other plastic pipeline. 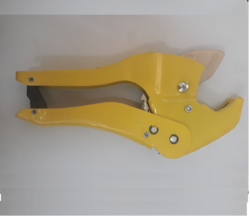 PVC and PPR pipe cutter upto 32mm pipe, Designed for fast pipe cutting and ensuring quality cutting work, comes woth the high quality cutting blade and heavy grip. Socket Fusion Machine is used for making fittings at 45 deg and so. 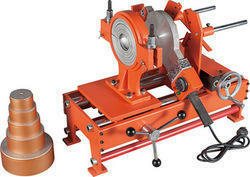 Pipe Bending machine is widely used in making factory-made fittings also on site.